^ Squires, C. P.. The History of Nevada. 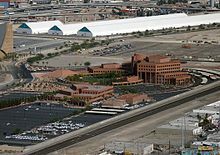 Nevada's Online State News Journal. p. 801. http://www.nevadaobserver.com/History%20Of%20Clark%20County%20(1912).htm 2009年7月25日閲覧。. ^ "Florence McClure Women's Correctional Center." 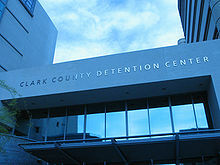 Nevada Department of Corrections. Retrieved on January 6, 2010. ^ "Map." Station Casinos. Retrieved on June 5, 2009.